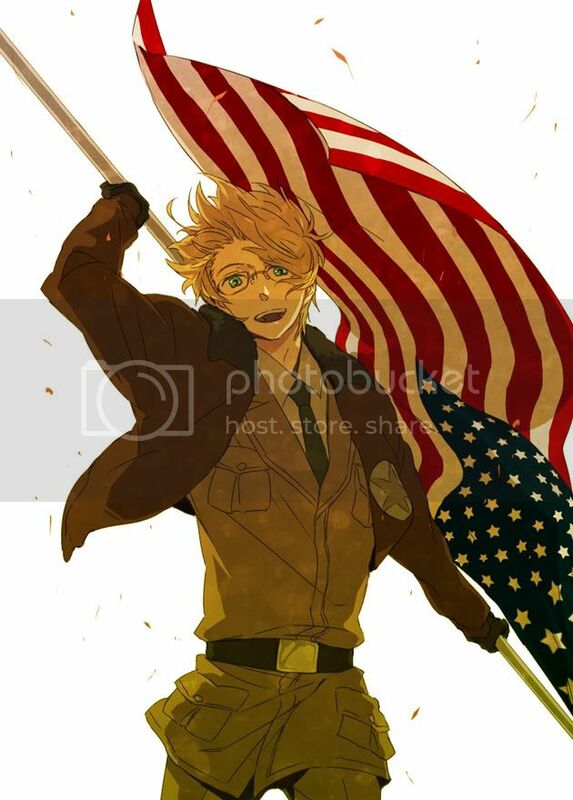 Appearance: (Face Claim - America - Hetalia) 6'2 in height, 169 in weight. Short, messy blonde hair. greenish-blue eyes. Wears an archeologist outfit that his grandfather gave to him on his 18th birthday with a bomber jacket that he happened to buy in an antique shop, a pair of combat boots and a pair of glasses. --Stats: Hp High, Atk Very High, Def Medium, Sp.Atk Low, Sp.Def Medium, Spd Very High. Ability: Defiant. -Fencer (Gallade): Close Combat, Psycho Cut, Power-Up Punch (TM), Poison Jab (TM), Swords Dance. -Tyrant (Tyrantrum) Head Smash, Earthquake, Ancient Power, Return (TM), Dig (TM), Giga Impact. -Khan (Barbaracle): Razor Shell, Skull Bash, Stone Edge, Return (TM), Poison Jab (TM), Protect (TM). -Wildfire (Magmorter): Fire Blast, Hyper Beam, Overheat (TM), Focus Blast (TM), Sunny Day. -Braviary is his signature pokemon and he gained Patriot as an egg on his 8th birthday.